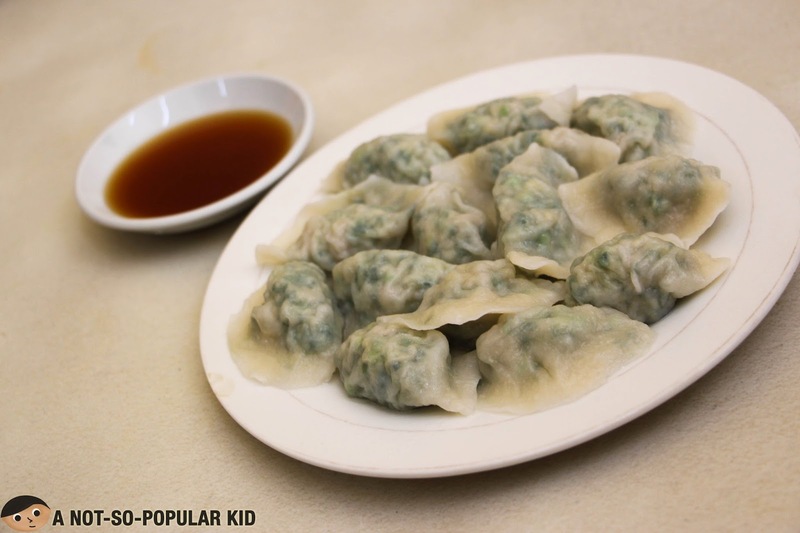 Binondo, commonly referred to as Manila's Chinatown, is a popular place not only for the sights to see but also for the food to try! 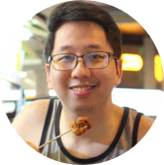 In a future blog post, I will share a broader Binondo Tour and Food Trip guide, but for now, I think you will appreciate this P250-Binondo Food Trip Challenge! For you to have a knowledge of how this challenge works, let me summarize it first through this 'infographic' I made. Now let get started with the specifics of this Food Trip challenge! 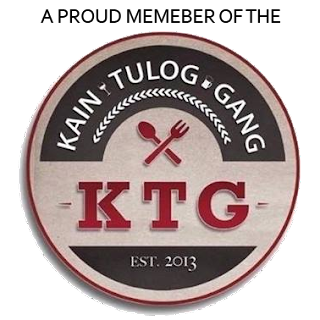 For proper planning and scheduling, let me present to you the overview of this food trip adventure! Suggested Number of People: Six (6) or any number divisible by six. I've tailored the orders to be sufficient for 6 people. Although this is the suggested number, you may choose to deviate from it, a plus or minus one perhaps? 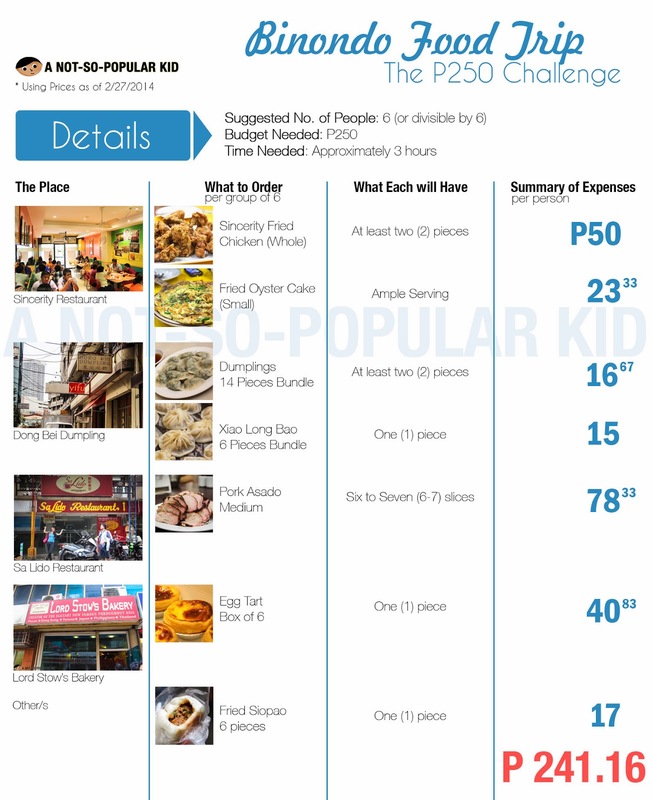 Budget Needed: Two-hundred Fifty Pesos (P250), if you will strictly follow the guide, you will need less than that. It is your duty to change the estimate if in case you will deviate from the food trip agenda I've prepared. Time Needed: Approximately three (3) hours which already includes exploration, bonding and eating time! Alright! Here's a map in order to help you visualize how to conduct the food trip or "restaurant hopping"! 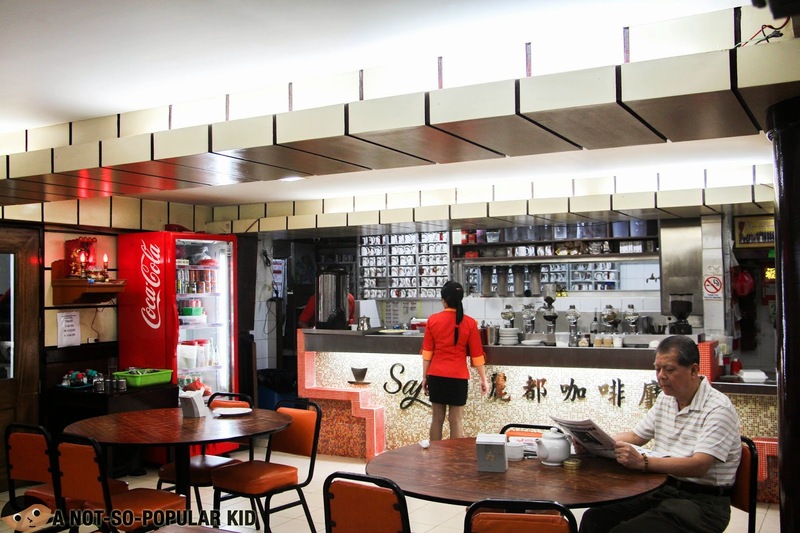 If you are planning to meet up with your friends, it will be easier to meet up in Binondo Church; however, you may also opt to choose Sincerity Restaurant as your meet-up place. If you are not yet familiar with the place, I suggest that you drop by the church first (and do some thanksgiving and prayer as you wait). Otherwise, proceed to the first stop immediately. Note: If you want to learn more about the place, just click on the name of the place (i.e. the heading) and you will be redirected to my individual blog post on it. Directions: Enter the busy street of Carvajal where you will see a lot of fruit vendors. Walk until you read the end of the street, and take a right turn. Directions: Follow the blue line on the map I presented earlier. Basically, all you need to do is to reach the end of Yuchengco St. (corner of Tytana St.). Dong Bei Dumpling Store is located there. Home of the famous Asado! Directions: Follow the green line on the map, but be extra keen because I do not know exactly where the place is. 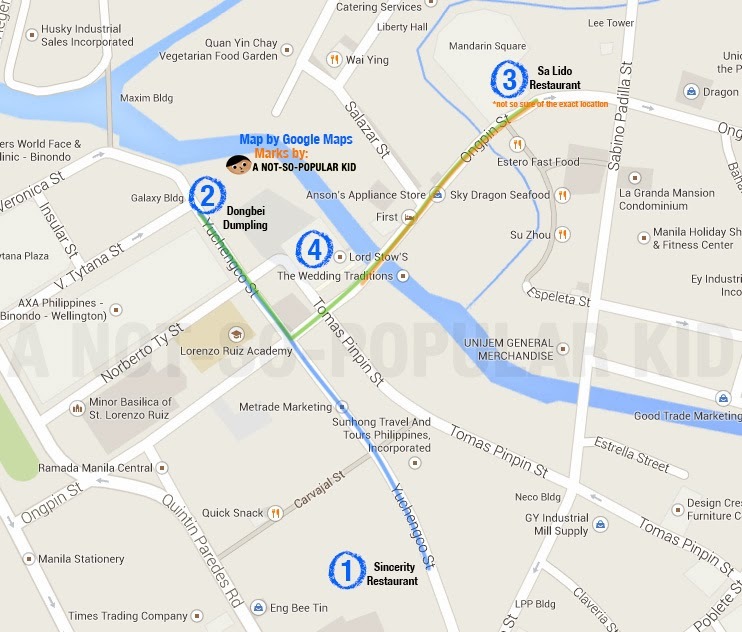 All I know is that the restaurant lies in between Gandara St. and Alonzo St. along Ongpin. Also, take note that Google Maps can't be relied upon on this (since it is way far from President's Tea House, which Google Maps is saying it's close to). Lord Stow's special Egg tarts all the way from Macau, (I mean the recipe is)! Directions: Follow the orange map on the line. Well, actually you will already pass by this as you trek to Sa Lido Restaurant. 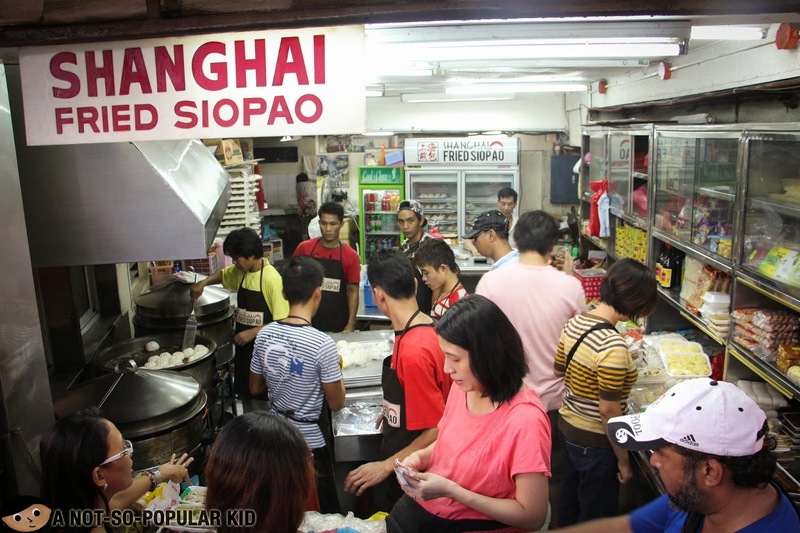 Directions: This store selling fried siopao is near Sa Lido Restaurant. You will come across this when you go back from Sa Lido or on your way to it. Note: You may drop this fried siopao from the list, in case you want to have a cup of rice in Sincerity Restaurant for P18, which means you will still abide by the P250 challenge. Aright, there you have it! 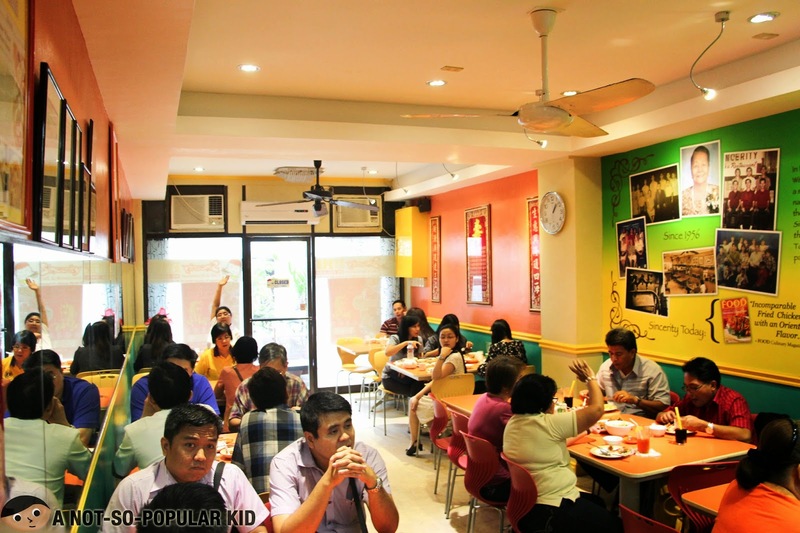 What do you think of this P250 Binondo Food Trip? What are you waiting for? 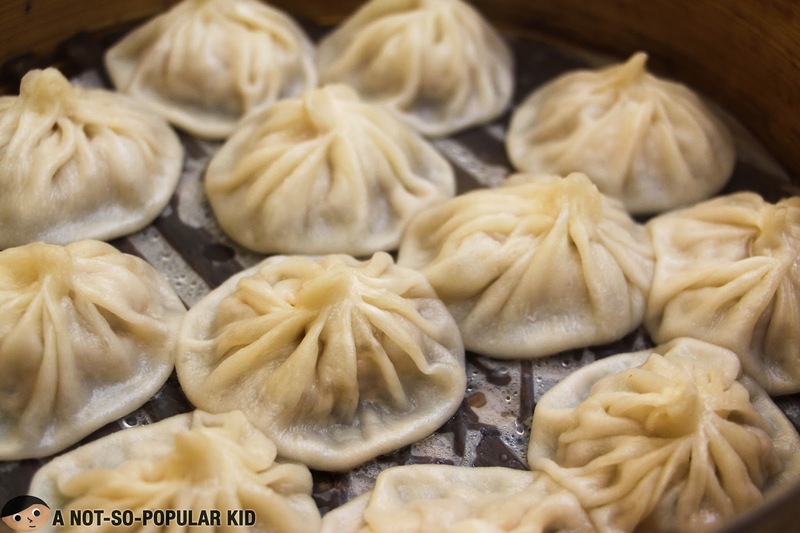 Gather up your friends and have a food trip in Binondo! Lord Stow's! 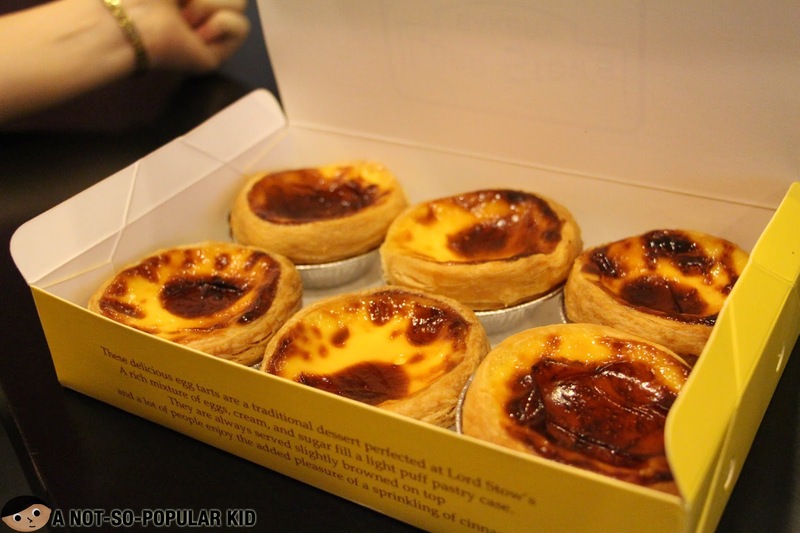 I super love their egg tarts. Yeaaah! They are super adorable and tasty! Thanks for dropping by Angela D! I used photoshop in coming up with this infographic. Hello there! I don't think you should worry about reservations, well except perhaps for Dong Bei because of limited seats (unless they don't allow for it).